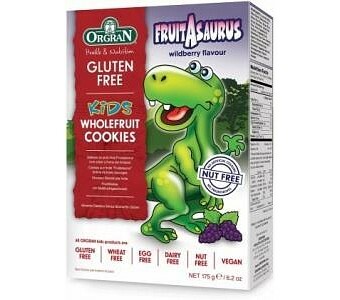 Orgran Dinosaur fruit cookies are delicious oven baked cookies made from all natural gluten free ingredients with 25% whole fruit, no cane sugar and less than 5% fat content. As well as being a favourite for the kids, these biscuits are naturally rich in complex carbohydrates. 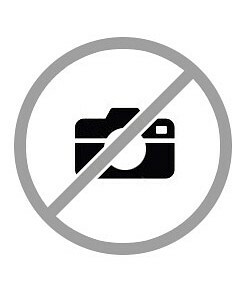 Ingredients: Currants (25%), Maize starch, Dextrose from maize, Brown rice flour, Pea flour, Vegetable oil (palm), Rice syrup, Psyllium (2%), Vegetable gum; guar, Natural berry flavour, Raising agents: bicarbonate soda, calcium carbonate (source of calcium), salt, Emulsifier: Monoglycerides from vegetable, beetroot.